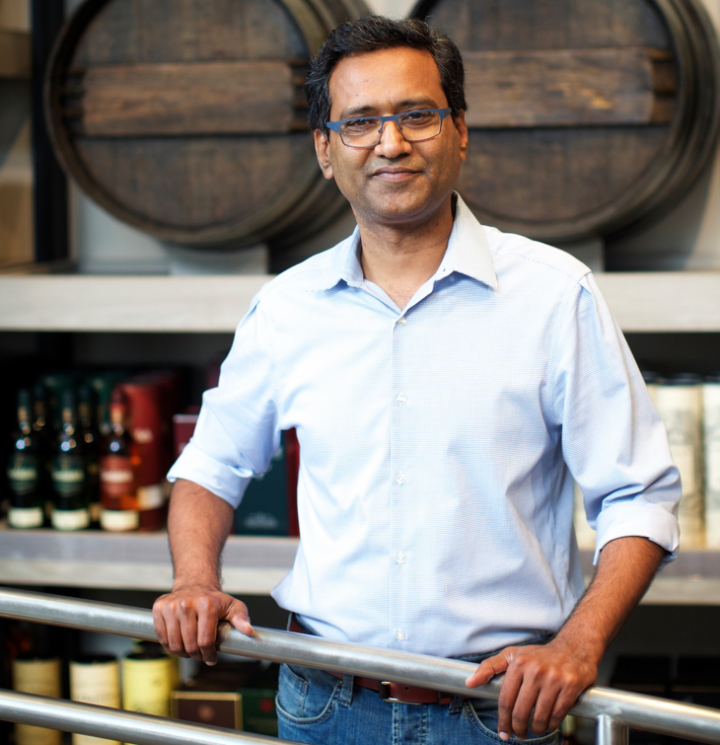 Wine Legend brand owner and president Mahesh Lekkala strives to provide consumers with rare spirits at reduced prices. At wine and spirits retailer Wine Legend’s in-store bar in West Orange, New Jersey, one to two ounce pours of scarce spirits are available in spades. The store serves five different ages of the famously elusive Pappy Van Winkle, for example, ranging from the 10-year-old ($17 a 1-ounce pour; $30 a 2-ounce pour) to the 23-year-old ($80; $140). The Macallan M, one of the Scotch distillery’s highest-end offerings, is also on the menu, priced at $400 a 1-ounce pour and $750 for 2 ounces. These unique offerings illuminate the five-unit chain’s overarching mission: To bring appreciation of top-tier wines and spirits to a much wider audience. 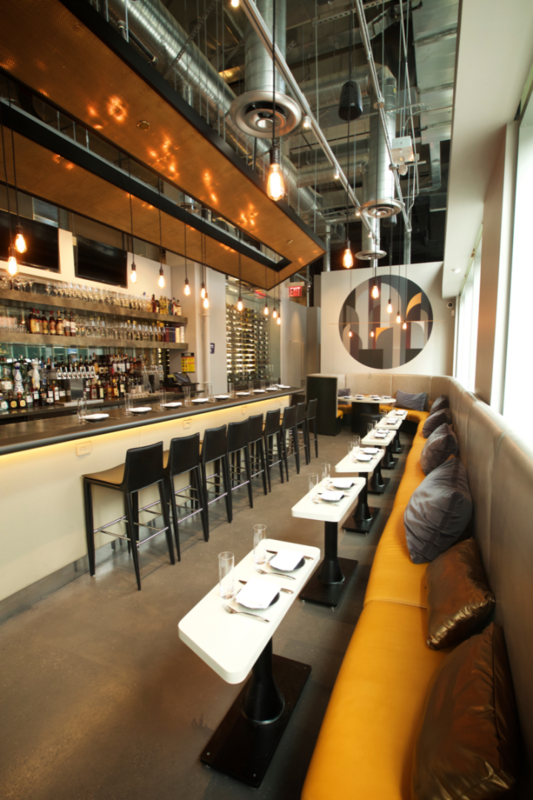 Wine Legend didn’t debut as a tasting-oriented, education-bent chain. Once an aspiring computer engineer, Lekkala was an unlikely candidate for a leading career in wine and spirits retail. His wife’s parents helmed a beer and liquor store in New Jersey, ultimately propelling him into the beverage alcohol retail business. Eventually, Lekkala left his engineering job and conceived of his own endeavor, culminating in the 2002 debut of two Wine Legend stores in Livingston and Cherry Hill, New Jersey. Since then, three more locations have followed: A Woodbury, New Jersey, unit opened in 2013, and the West Orange storefront—the first with an in-store bar—premiered in 2015. This past July, the retailer branched out of New Jersey for the first time, opening Wine Legend—The Bar & The Store in Brooklyn, New York’s Fort Greene neighborhood. The new Wine Legend—The Bar & The Store (bar pictured) in Brooklyn features craft cocktails, draft beer and wine on tap alongside small plates. The bar is adjacent to the company's retail component. The debut of the Fort Greene location brought with it a slew of new beginnings for the retailer, chief among them the debut of a sleek new logo. All Wine Legend stores are now in the process of transitioning out of the old, red logo, and the website is being updated for the new black and gray design as well. A Wine Legend app focused on streamlining orders and deliveries has also launched, though Lekkala says he isn’t marketing the technology quite yet—he doesn’t want to create brand confusion while the old logo is being phased out. Unlike the in-store bar at the West Orange Wine Legend, the new Fort Greene bar features draft beer ($6), wine on tap ($6 to $70) and craft cocktails ($10 to $13). The cocktails are simple, and the bar openly details all drink recipes along with the required ingredients, so that consumers may then purchase them in the attached store. While wine and high-end Scotch, Cognac, and whiskies play an important role at all five Wine Legend stores, the overall selection and total number of spirits and wine SKUs differs from location to location. In Livingston, for example, Wine Legend offers a large number of Italian and kosher wines to serve the sizable Italian and Jewish populations in the area. In general, the retailer stocks anywhere from 1,500 to 3,000 wines and spirits, with wine accounting for 63 percent of total sales, spirits making up 25 percent, and a limited beer selection comprising the remaining 12 percent.